Penultimate match for Hawks and Eagles of the 14-game season. Neither Premier Handball League champion yet confirmed. 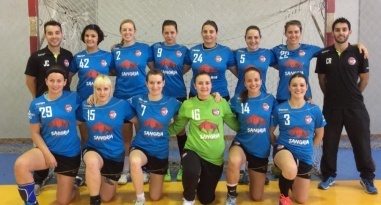 Women's Premier Handball League: can Olympia stay unbeaten? Top four teams within four points. Another weekend of close games in the league. Six teams in action this weekend. Warrington Wolves and Olympia go head-to-head. Hawks defeat London GD in the league with a strong second-half performance. London Angels win over Peninsula despite being level at half-time. Peninsula could climb to sixth in in the league with victory. One match in the men's Premier Handball League between London GD and NEM Hawks. All eight teams will play this weekend in the league. Wolves will play Hawks in men's Premier Handball League. Seventh versus eighth in the Premier Handball League table. Olympia's narrow win over West London Eagles sees them retain top spot. Victory for Brighton over Cambridge in round eight. Round eight of fixtures sees a re-run of the National Cup quarter-final between Reading Lionesses and Peninsula. GD come through in top-two battle. Olympia maintain unbeaten record with win over London GD. Olympia play GD, Hawks against Eagles, Reading face London Angels and Loughborough play Peninsula. Olympia versus London GD; Hawks play Eagles in round eight. Our end of year review across all national and regional leagues. Brighton remain without a win after defeat to Olympia. Final match of round seven. London GD and Olympia remain unbeaten. Eagles victorious in round seven. Angels versus Eagles in a battle of the Londoners. Both Olympia and GD look to maintain unbeaten record against Loughborough and Peninsula respectively; Reading Lionesses play NEM Hawks. Round Seven has more enticing line-ups as Nottingham and Olympia go head to head, Brighton Seahawks play NEM Hawks, Warrington Wolves face West London Eagles, and London GD will go up against Cambridge. Second-half fightback from Cambridge gets them their second win of the season. Olympia maintain unbeaten record with win over Peninsula. Peninsula take on Olympia this weekend. Olympia have only lost once: this weekend they take on Cambridge. After a flawless start to the season, Warrington Wolves went down to last year’s champions London GD. Plus victory for London GD in the London derby. London derby amongst the weekend's fixtures. Wolves and GD meet in round six. 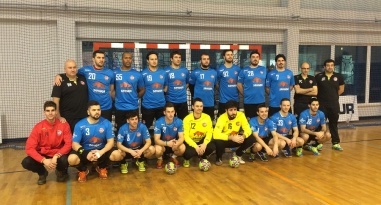 Round five in Premier Handball League the closest yet. GD stay top after closest of margins over Eagles. Women's Premier Handball League: Olympia and Hawks do battle. Six of the eight teams are in action. 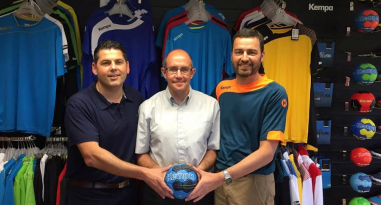 Men's Premier Handball League: Can Wolves remain unbeaten? Angels fall to first defeat, GD go top. Wolves narrowly defeat Olympia, whilst Nottingham and Eagles draw. Round four in the Women's Premier Handball League. Top of the table clash in round four. London Angels remain top of the table with three wins from three. Wolves take the honours in North-West derby after second-half fightback. Angels take on Hawks, London GD play Loughborough, and West London Eagles play Reading Lionesses. The men’s Premier Handball League returns after a two week break, with three matches. 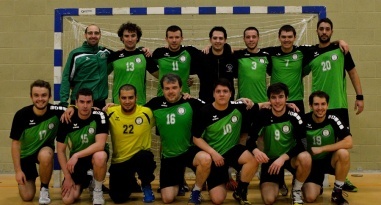 Ealing Handball Club and West London Eagles HC have announced that they will merge from this season. League leaders after the first round of fixtures, NEM Hawks face last year's champions London GD. Nottingham face table-toppers Warrington Wolves, Olympia play Eagles, Brighton face Cambridge and NEM Hawks take on London GD. Wins for Hawks, Wolves, Nottingham and Olympia. Strong starts for Hawks and London Angels in a competitive opening weekend of fixtures. West London Eagles welcome NEM Hawks in double-header. 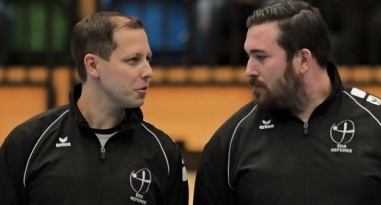 The new Premier Handball League season opens with a London double-header. 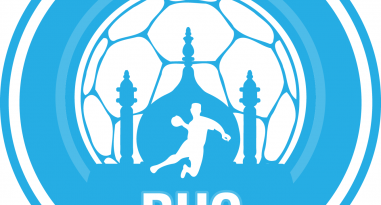 The University looks forward to life in the women's Premier Handball League. 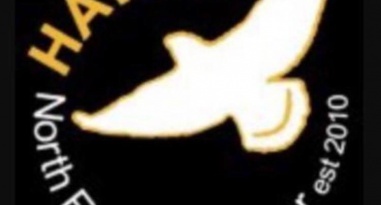 Brighton Seahawks look forward to their first season in the top flight. After watching the sport at the London 2012 Olympics, Graham Jack's life changed forever after he was tempted to try handball. 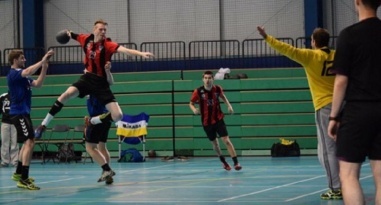 Liverpool take on Nottingham at Greenbank this weekend in the final match of the Mens' Premier Handball League season. 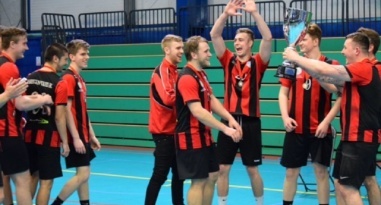 London GD were crowned mens’ Premier Handball League Champions in a dramatic title showdown against Olympia. 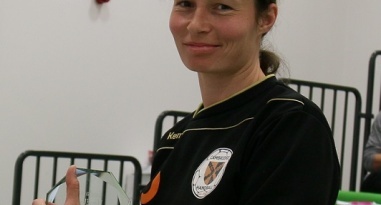 Peninsula beat West London Eagles in the Womens' Premier Handball League, while Coventry won at Olympia. 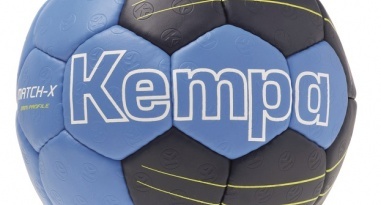 Olympia beat Nottingham in the mens' Premier Handball League, while Cambridge won against NEM Hawks. Peninsula face another crucial match in the Women’s Premier Handball League when they play West London Eagles. 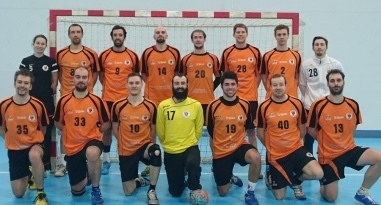 Olympia host Nottingham in the Mens’ Premier Handball League knowing they must win to keep their title challenge alive. Peninsula beat NEM Hawks, while Cambridge lost at Olympia in key matches at the bottom of theWomen’s Premier Handball League. The race for the Men’s Premier League title continues after London GD edged past Warrington Wolves, and Olympia beat Cambridge. Peninsula and Cambridge will be hoping for wins in the Women's Premier Handball League at the bottom of the table. 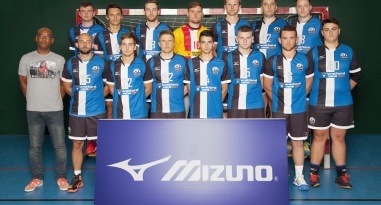 London GD host Warrington Wolves in the Mens’ Premier Handball League knowing they could be crowned champions this weekend. Hawks take the honours in both men's and women's matches in a double-header. Hawks defeat Eagles after a strong second half; Sharks overcome Peninsula. Hawks travel to London to take on Eagles in a game between second and third in the Premier Handball League. Victory over Eagles see GD secure the title with two games remaining. 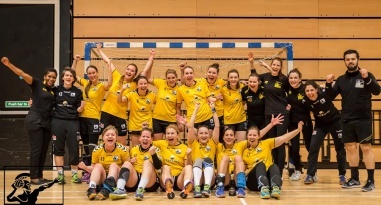 London GD host West London Eagles on Thursday knowing they could secure the Women’s Premier Handball League table. 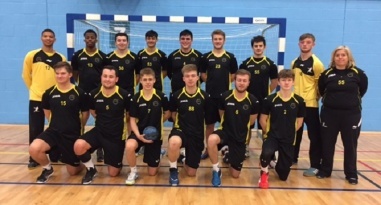 Warrington Wolves won a thriller against Olympia in the Men's Premier Handball League, beating the London side 31-30. Angels have the chance for a hat trick of league wins when they play Cambridge in the only Premier Handball League fixture of the weekend. The weather forced three of four matches to be postponed, and the only match to go ahead saw GD take the honours after a strong second half. Eagles versus Hawks, Cambridge versus London GD in the Barking double header; elsewhere, it's Olympia against London Angels and Coventry travelling to Peninsula. London GD strengthened their grip on the top of the table this weekend when they beat bottom of the table Liverpool, but they had to survive a first half scare to do so. London Angels beat NEM Hawks, Olympia take full club honours in the double-header against West London Eagles, and Cambridge are defeated by Coventry Sharks. NEM Hawks turn the table on Warrington Wolves, Olympia take full club honours in the London derby against West London Eagles, and Cambridge edge it against Nottingham. Warrington Wolves look to heap the pressure on league leaders when they host NEM Hawks, Cambridge play Nottingham. 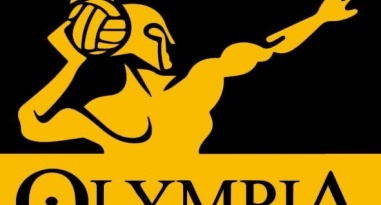 Olympia take on West London Eagles in a men's and women's Premier Handball League showdown on Saturday afternoon. 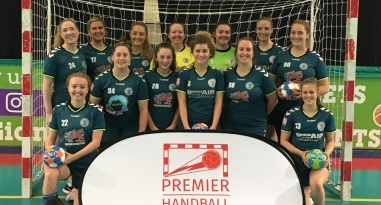 Peninsula and Cambridge meet in a crucial bottom-of-the-table clash this weekend in the Womens’ Premier Handball League. NEM Hawks beat Cambridge to move up to second place in the Womens’ Premier Handball League. London Angels beat Coventry Sharks, while Olympia won against Peninsula. 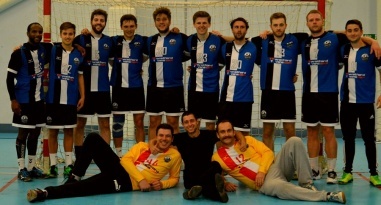 Mens' Premier Handball League eaders London GD beat West London Eagles. Olympia won against Liverpool, Warrington Wolves beat Nottingham. The match between Cambridge and NEM Hawks was abandoned because of an injury to a player. 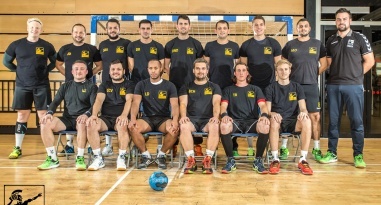 London GD host West London Eagles in the Mens’ Premier Handball. Olympia play Liverpool, Warrington Wolves take on Nottingham, and Cambridge host NEM Hawks. 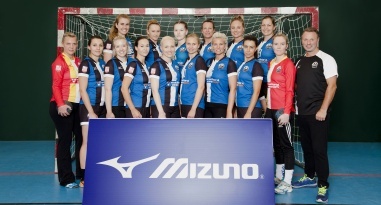 NEM Hawks play Cambridge this weekend in the Womens’ Premier Handball League. Olympia host Peninsula, while London Angels travel to Coventry Sharks. 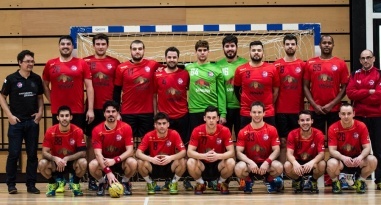 London GD saw their 100% record this season come to an end as they lost to Olympia in a thriller in the Mens’ Premier Handball League. 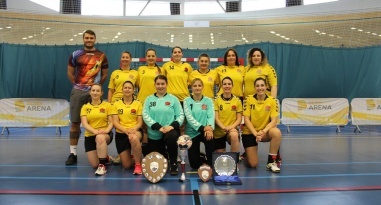 London GD beat NEM Hawks in the Womens’ Premier Handball League, while Peninsula won against London Angels, West London Eagles vercame Cambridge, and Coventry Sharks won against Olympia. 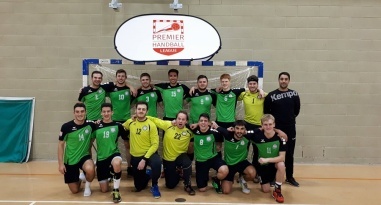 Mens' Premier Handball League leaders London GD beat NEM Hawks, Olympia beat Nottingham, Warrington Wolves won against Liverpool, and West London Eagles and Cambridge drew. London GD and NEM Hawks meet in a top-of-the-table clash in the Womens’ Premier Handball League, West London Eagles host Cambridge, London Angels play Peninsula, and Coventry Sharks face Olympia. Leaders London GD play NEM Hawks this weekend while Nottingham host Olympia, Liverpool play Warrington Wolves, and West London Eagles face Cambridge. 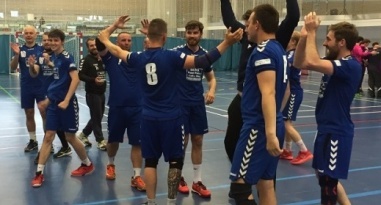 Nottingham beat NEM Hawks in the Men’s Premier Handball League while Cambridge won against Warrington Wolves, and West London Eagles beat Liverpool. 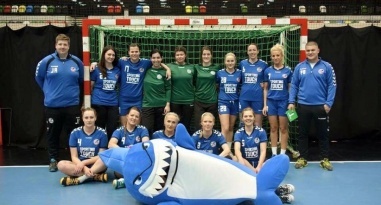 NEM Hawks beat Coventry Sharks 27-22 in a Women’s Premier Handball League schedule that was hit by the weather. 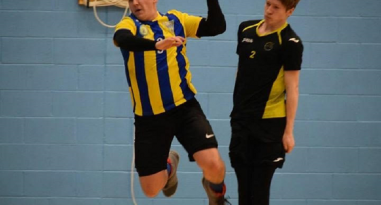 NEM Hawks host Nottingham and Warrington Wolves face Cambridge this weekend in the Men's Premier Handball League looking to close the gap on London GD. 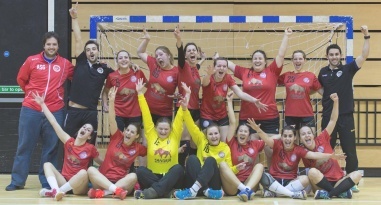 London GD made it six-wins-from-six matches in the Women’s Premier Handball League with victory over London Angels. London GD won a thrilling clash against Warrington Wolves in the Men’s Premier Handball League, running out 19-18 victors. Men’s Premier Handball League leaders London GD face second-place Warrington Wolves in a top-of-the-table clash. Women’s Premier Handball League table-toppers London GD face London Angels in a Capital City derby on Saturday. 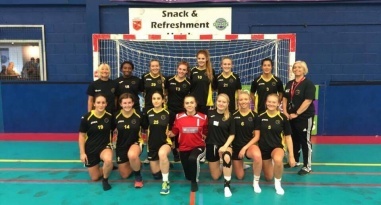 West London Eagles moved up to second place in the Women’s Premier Handball League after beating London Angels 26-23. London GD edged past Cambridge in a thriller, while Warrington Wolves drew with Olympia, NEM Hawks beat West London Eagles, and Nottingham won against Liverpool. West London Eagles beat NEM Hawks in the Women’s Premier Handball League, while Coventry Sharks won against Peninsula and Olympia sneaked past London Angels. 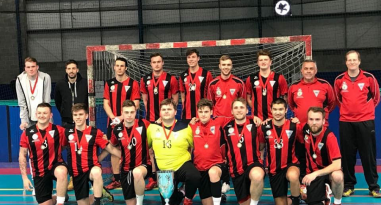 London GD host Cambridge in the Men’s Premier Handball League, while Warrington Wolves play Olympia, NEM Hawks face West London Eagles, and Nottingham meet Liverpool. NEM Hawks host West London Eagles in the Women’s Premier Handball League, while Peninsula travel to Coventry Sharks, and Olympia face London Angels. 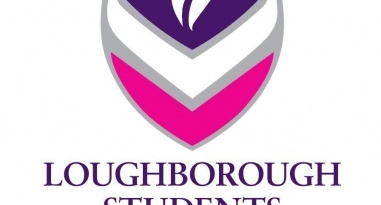 London GD maintained their 100% record in the Women’s Premier Handball League with a 23-15 win against Cambridge. 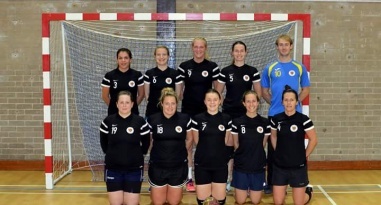 Cambridge travel to table-toppers London GD in the Women’s Premier Handball League on Saturday. London GD are top of the Men’s Premier Handball League after they beat Liverpool, and previous leaders Warrington Wolves lost to NEM Hawks. 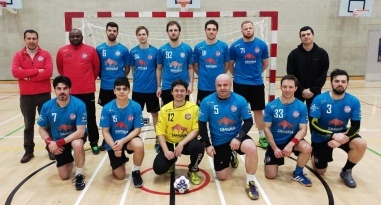 NEM Hawks face Warrington Wolves in a North-west derby in the men’s Premier Handball League on Sunday. 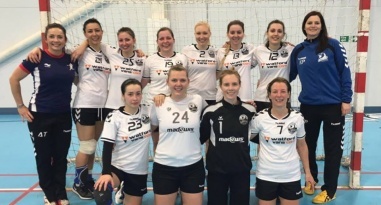 Peninsula face table-toppers London GD in the Women’s Premier Handball League on Sunday. Cambridge got their first win of the season in the women’s Premier Handball League with victory over Peninsula. 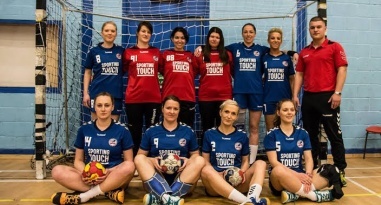 Peninsula travel to play Cambridge at Sporthouse Barking in the Women’s Premier Handball League on Saturday. London GD lead the women’s Premier Handball League after beating Coventry Sharks, while NEM Hawks' victory over Olympia sees them in second spot. Warrington Wolves beat West London Eagles, while London GD beat Nottingham and Olympia secured victory over NEM Hawks. Coventry Sharks get their Women’s Premier Handball League season underway against leaders London GD, while NEM Hawks travel to Olympia. 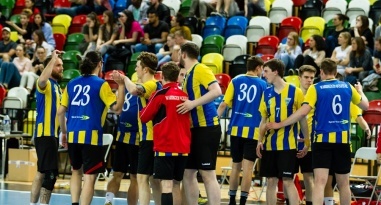 Warrington Wolves host West London Eagles on Saturday in the Men’s Premier Handball League, while London GD play Nottingham, and NEM Hawks travel to Olympia. Warrington Wolves stay top of the Men’s Premier Handball League, ahead of London GD on goal difference. London GD head the top of the women’s Premier Handball League with two-wins-from-two matches after beat West London Eagles. Men’s Premier Handball League leaders Warrington Wolves travel to the East Midlands on Saturday to play Nottingham. 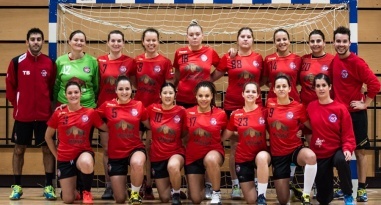 Defending women’s Champions Olympia get their Premier Handball League campaign underway with a trip to the north west on Saturday to play Peninsula. 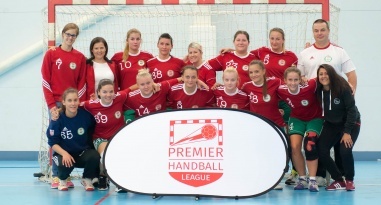 London GD, London Angels and West London Eagles won on the opening weekend of the Women's Premier Handball League. Warrington Wolves top the Men’s Premier Handball League on goal difference following an opening-day 35-24 win against Liverpool. 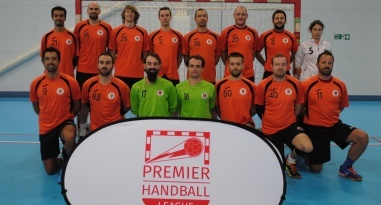 London GD get their season underway in the new-look Premier Handball League with a clash against NEM Hawks. Warrington Wolves start their campaign in the new-look Men’s Premier Handball League with a clash against newly promoted Liverpool. Warrington Wolves capped an excellent season by being crowned British Champions after beating Livingston in the British Championship test event. 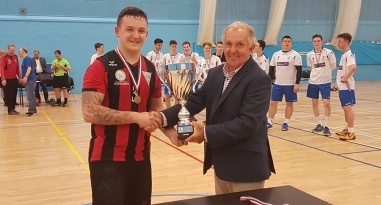 Super-8 champions Warrington Wolves and Scottish champions Livingston go head-to-head on 3 June in a battle to be crowned Britain’s best men’s handball team. 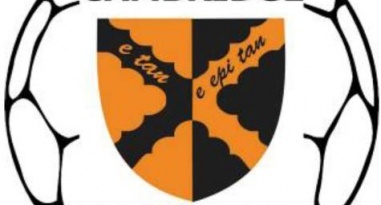 Cambridge beat Medway Dragons 17-16 in a close affair to stay in the top flight. Cambridge and Medway Dragons meet at Leyton Score Centre on Sunday in a play-off for the final spot in Womens’ Super-8. Olympia were crowned womens' Super-7 champions after beating London GD, while Cambridge finished bottom after losing to London Angels. Liverpool will play in mens’ Super-8 next season, while Peninsula secured their place in womens’ Super-8, and Reading Lions in the Championship South after winning their play-off matches. Warrington Wolves coach Bill Baillie and Wolves players have expressed their delight after the club’s Super-8 title success. Warrington Wolves host West London Eagles, while NEM Hawks play Coventry Sharks looking to mathematically secure second spot, as the season draws to a close. London GD host Olympia at the Copper Box Arena in an end-of-season crunch match that will decide the destination of the Super-7 title. 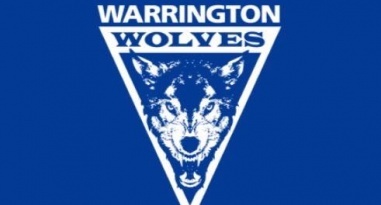 Warrington Wolves player Stephen Clarke has been invited to trial for Spanish club Alarcos Ciudad Real in May. London GD host NEM Hawks on Sunday with an eye on top spot. NEM Hawks moved up to fifth in the Super-7 table after a nail-biting win over bottom side London Angels. Warrington Wolves were crowned champions after a hard-fought win over title rivals NEM Hawks. Leaders Olympia remain two points clear at the top of Women’s Super-7 after beating Cambridge 25-21 at the Copper Box Arena. Olympia play Cambridge on Saturday looking for the victory that will keep them clear at the top of Super-7. NEM Hawks host Warrington Wolves on Sunday in a huge game at the top of Mens’ Super-8. Warrington Wolves remain top of Men’s Super-8, ahead of NEM Hawks on goal difference, after beating London GD. Hawks won against Nottingham. Olympia moved top of Women’s Super-7 following victory against Coventry Sharks. Warrington Wolves and NEM Hawks will both be hoping to go clear at the top of the men’s Super-8 table this weekend. Olympia host Coventry Sharks on Saturday knowing a draw or win against Coventry Sharks will take them top. Warrington Wolves drew with Olympia in Men’s Super-8, although the result was enough to see them go top. Defending champions London GD play London Angels knowing that they will go top of Women’s Super-7 if they win. Warrington Wolves host Olympia on Saturday knowing that victory will take them top of men’s Super-8. Super-7 leaders Olympia were held by London Angels in a thrilling match at Leyton Score Centre. Cambridge drew with Super-8 leaders NEM Hawks in a nail-biting encounter at Oldham. Leaders Olympia host bottom side London Angels at Leyton Score Centre in Women’s Super-7 on Saturday. London GD returned to winning ways with a 31-19 victory against West London Eagles in Men's Super-8. West London Eagles make the trip to the Copper Box Arena tonight with third place in Men’s Super-8 in their sights. NEM Hawks climbed off the bottom of Women’s Super-7 table after beating West London Eagles to secure their first win of the season. West London Eagles travel north to play NEM Hawks in Women’s Super-7 on Sunday. Olympia stay three points clear at the Olympia top of Women’s Super-7 after beating West London Eagles, while London GD and Coventry Sharks also won. Warrington Wolves stayed top of Men’s Super-8 after a hard-fought win against Cambridge, while fellow high-flyers NEM Hawks also won. 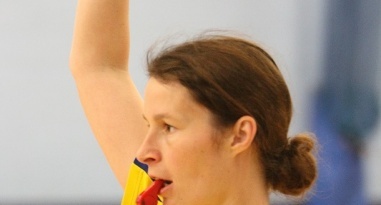 Leaders Olympia host West London Eagles in Women’s Super-7 on Saturday. Olympia moved three points clear at the top of Super-7, but were pushed hard by NEM Hawks in their victory over the North-West side, while London GD went second. Olympia beat NEM Hawks 28-25 in the one match in Men’s Super-8, as the London side returned to winning ways after two defeats. NEM Hawks will be bidding to go top of Men’s Super-8 this weekend when they play Olympia. Olympia moved above Coventry Sharks to head Women’s Super-7 on goals difference after beating NEM Hawks, while Sharks drew with West London Eagles. Warrington Wolves stayed top of Men’s Super-8 after beating Nottingham at Powerleague Trafford. Warrington Wolves, NEM Hawks and Cambridge could all be top after this weekend’s matches as men’s Super-8 returns after the Christmas break. Coventry Sharks and West London Eagles meet at Cranfield on Sunday, both hoping to end the weekend top of the pile, while Olympia are also bidding to head the standings. Coventry Sharks go into the Christmas break top of women’s Super-7 after beating NEM Hawks. Warrington Wolves will head the standings over the festive period after they ran out winners against West London Eagles. Coventry Sharks, Olympia and London GD could all go top of the table in Women’s Super-7 this weekend. Warrington Wolves, NEM Hawks and West London Eagles all go into the weekend’s games looking to top the table at Christmas. Olympia moved into third place in Super-7 after coming out on top in their Capital-city derby against London Angels. NEM Hawks travel to the capital to play defending champions London GD on Sunday. London GD moved up to third place in the table with victory over Coventry Sharks in Women’s Super-7. London GD beat Coventry Sharks in Men’s Super-8 to make it two wins from three matches. London GD host Coventry Sharks as the bottom two teams meet each in Super-8 this weekend. Coventry Sharks travel to the Capital to play London GD looking to reclaim top spot in Women’s Super-7. West London Eagles moved top of Women’s Super-8 after sneaking past London Angels 18-17 in their Capital City derby. Warrington Wolves moved top of Men’s Super-8 on goal difference ahead of West London Eagles after they beat NEM Hawks and Eagles won against Nottingham. Coventry Sharks maintained their position at the top of Women’s Super-8 with victory over Olympia. West London Eagles beat Cambridge to move up to third in the table, while NEM Hawks made it three-wins-from-three with victory over Nottingham. Olympia travel to table-toppers Coventry Sharks in Women’s Super-7 knowing a win could see them head the table after the weekend fixtures. Cambridge head Men’s Super-8 after they beat Coventry Sharks and Warrington Wolves lost to Olympia. Coventry Sharks top Women’s Super-7 following a close win against Cambridge. Cambridge, West London Eagles and London GD could all go top of Women’s Super-7 this weekend. Table-toppers Warrington Wolves travel to the Capital to take on Olympia in Men's Super-8 on Saturday. Warrington Wolves lead Super-8 by one point after a 35-20 win over Coventry Sharks. Cambridge lie in second spot, after losing to NEM Hawks, having played a match more. Second-place West London Eagles have the chance to go top when they host London GD in a Capital-city derby on Sunday. 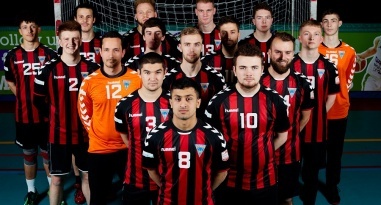 Olympia claimed their first win of the season as they beat Nottingham in men’s Super-8. Nottingham host Olympia at 14.30 on 15 October at Sutton Bonnington in the one match in Men’s Super-8 this weekend. Cambridge moved top of Men’s Super-8 following a 35-32 win at Olympia. 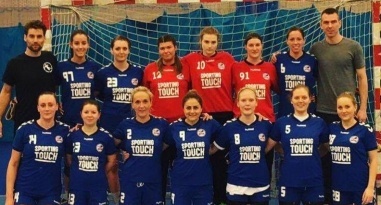 In Women's Sport Week Agi Foeglein blogs about the differences between coaching male and female players, and her experiences of being a female handball coach in England. Warrington Wolves stay top of men’s Super-8 on goal difference after beating Cambridge 37-21. Coventry Sharks bounced back from an opening-day 20-24 defeat at the hands of West London Eagles to beat London Angels. 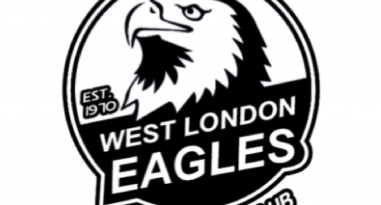 West London Eagles will be bidding a second win of the campaign when they entertain Olympia on Saturday. Cambridge beat defending champions London GD 28-22 at Sporthouse as men’s Super-8 got underway. Champions London GD were pushed hard by Cambridge as they beat the newly promoted side 25-22. Men’s Super-8 returns this weekend with defending champions London GD facing Cambridge. Women’s Super-7 is back this weekend with newly promoted Cambridge taking on defending champions London GD. The 2016/17 season will see new rules introduced. To help explain these new rules the International Handball Federation has produced a number of videos. The draw has been made for the men’s and women’s Challenge Cup, and EHF Cup, with interest for three English teams. NEM Hawks have praised the help they have received from Oldham Sports Development and Oldham Community Leisure, after winning the Sports Club of the Year gong at Oldham Sports Awards. 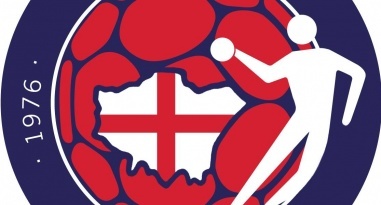 England Handball held its player, coach and volunteer awards at the Club Conference in Leicester. 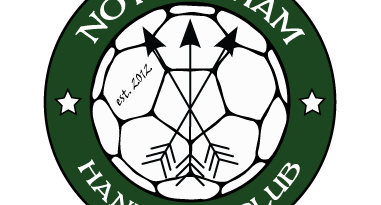 NEM Hawks are one of three clubs nominated for ‘Club of the Year’ in this 2016 Oldham Sports Awards. 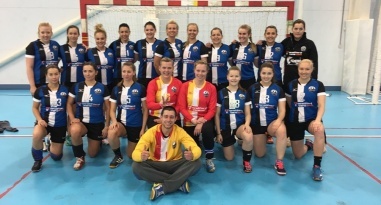 Staff from Warrington Wolves Handball Club travelled to German side SG Flensburg to get an insight how its academy works and understand elements of its success. London Angels traveled to NEM Hawks in the final match of the Women's Super-8 season, Angels running out winners.